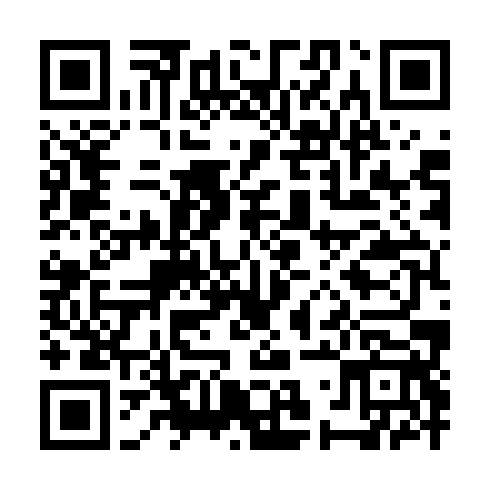 HDCVI (High Defnition Composite Video Interface) это стандарт передачи аналогового HD видеосигнала, анонсированный компанией Zhejiang Dahua. Технология предоставляет два HD видео формата: 1920H (1920 × 1080) и 1280H (1280 × 720) с прогрессивной разверткой. Простая замена существующих аналоговых систем видеонаблюдения на HD видео стандарт. As the industry moves from standard definition to high definition, how can we ensure the whole surveillance system not only satisfies the resolution requirement, but also the total cost? Dahua Technology presents High Definition Composite Video Interface (HDCVI) technology to the market. 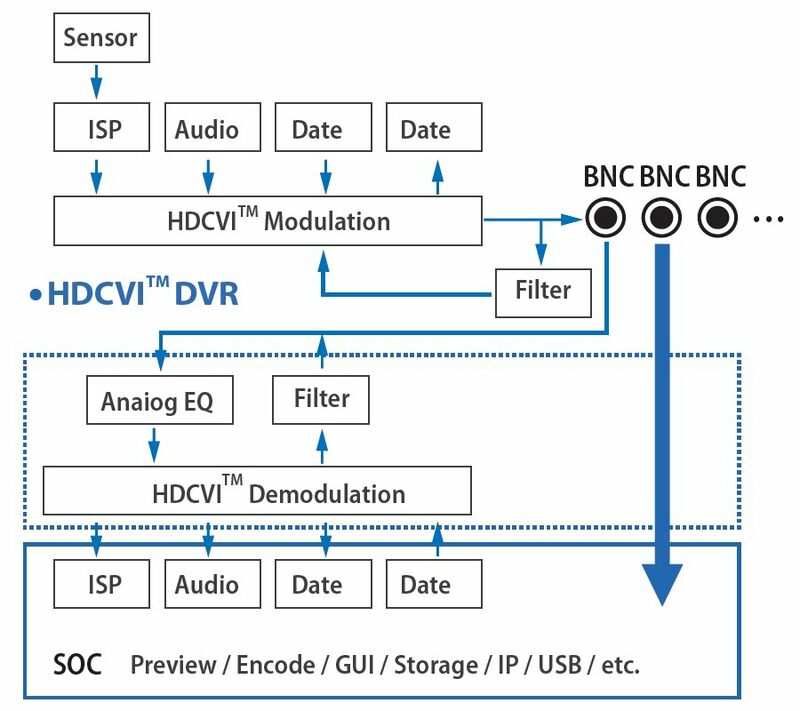 HDCVI, Dahua’s in-house technology, is an over-coaxial-cable analog HD video transmission standard, allowing long-distance HD transmission at a lower cost to meet the requirements for a complex and large installation. The Dahua HDCVI chipset is comprised of a transmitting chip (TX) and receiving chip (RX), which are designed for front-end HDCVI cameras and DVRs, respectively. These chips can also be applied to fiber optics transceivers, distributors, and matrices as well. TX chip interfaces are a BT1120/BT656 digital video interface, I2S audio interface, and I2C configuration interface, which are all of industrial standard design. This allows the TX chip to be used in any standard interface for ISPs and audio chips on the market. As for analog output, in addition to the HDCVI format, the TX chip is also compatible with CVBS. The TX chip supports 720p@25fps/30fps/50fps/60fps and 1080p@25fps/30fps. The figure above shows the simplicity of the HDCVI solution with the adopted TX chip. The tiny size of the chip also makes it suitable for application in all kinds of camera sizes. The RX chip supports HDCVI HD inputs and digital video outputs — I2S audio output, multiple-chip audio cascade output, as well as I2C configuration interface. 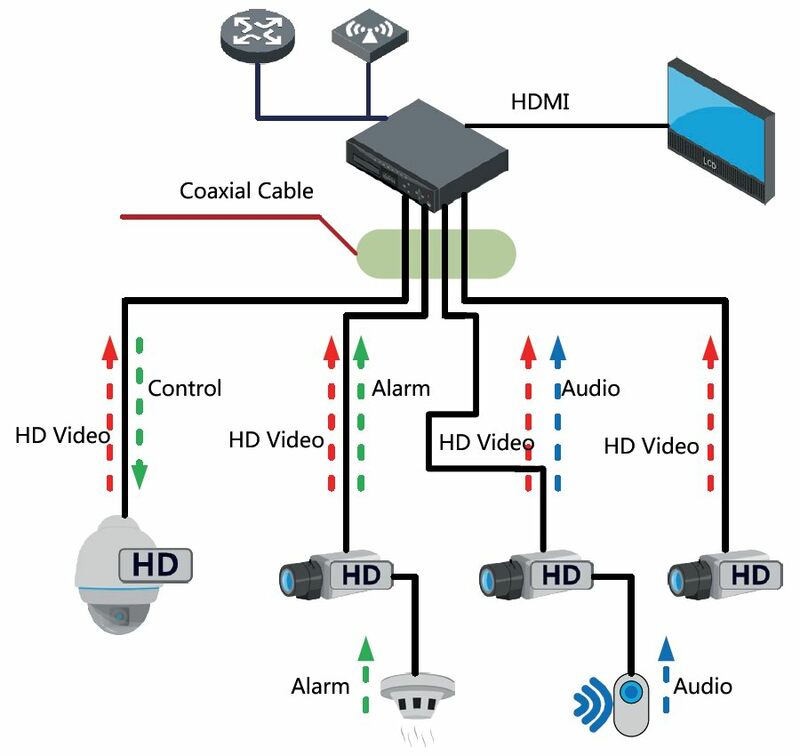 It also supports flexible mapping of HDCVI video input channel and digital output channel. Each of these channels has its own format and built-in equalizer that support setup for video parameters such as brightness, contrast, hue, saturation, and dual-way control signal transmission. 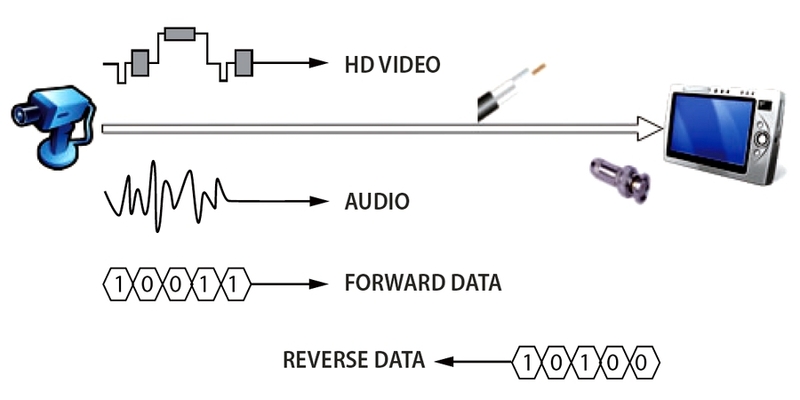 As seen in Figure 2, a RX chip has the same interface as an AD chip in a conventional analog DVR, which is to say that it provides seamless integration with conventional DVRs. The built-in equalizer allows HDCVI DVRs to receive HD video signals from up to 500m. The TX chip supports 1080p@25fps/30fps/50fps/60fps and 720p@25fps/30fps. The HDCVI solution can not only render smooth HD transmission during long-distance transmissions, but is also free from IP hassles and allows for simple installation; it also features a no-latency capability for real-time performance. With no need for compression processing to maintain its original video quality, it is able to present good quality vivid images. In comparison with other analog systems, HDCVI has an advantage on the transmission distance front, as it can transmit 500m by using 75-3 cable for general transmission media and features a low signal distortion rate. In a word, HDCVI not only provides a good solution that offers megapixel image quality over long-distance transmission, but also ease of installation.